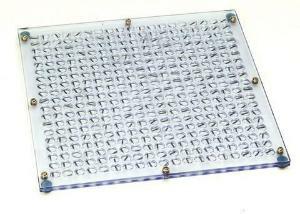 Plates with matrices of 98 small circular chambers contain an iron rod, which functions as effectively as a plotting compass. 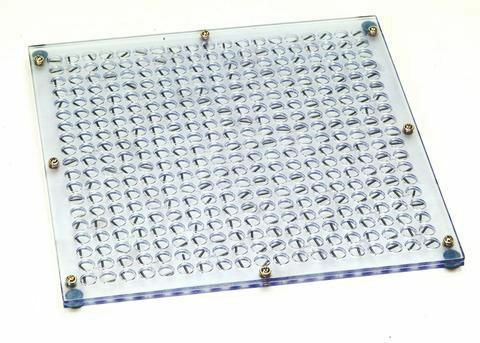 The transparent plates can be arranged in various ways including as faces of a cube or as a single large two-dimensional surface. This versatility allows you to show the reconfiguration of magnetic fields in one or two dimensions.